The master geopolitical forecaster and New York Times bestselling author of The Next 100 Years focuses on the United States, predicting how the 2020s will bring dramatic upheaval and reshaping of American government, foreign policy, economics, and culture. 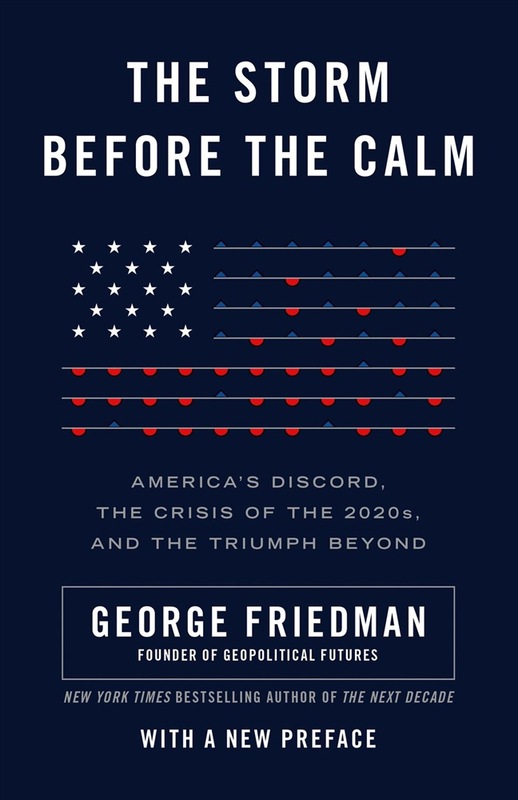 In his riveting new book, noted forecaster and bestselling author George Friedman turns to the future of the United States. Examining the clear cycles through which the United States has developed, upheaved, matured, and solidified, Friedman breaks down the coming years and decades in thrilling detail. American history must be viewed in cycles—particularly, an eighty-year "institutional cycle" that has defined us (there are three such examples—the Revolutionary War/founding, the Civil War, and World War II), and a fifty-year "socio-economic cycle" that has seen the formation of the industrial classes, baby boomers, and the middle classes. These two major cycles are both converging on the late 2020s—a time in which many of these foundations will change. The United States will have to endure upheaval and possible conflict, but also, ultimately, increased strength, stability, and power in the world. Friedman's analysis is detailed and fascinating, and covers issues such as the size and scope of the federal government, the future of marriage and the social contract, shifts in corporate structures, and new cultural trends that will react to longer life expectancies. This new book is both provocative and entertaining. Acquista The Storm Before the Calm in Epub: dopo aver letto l’ebook The Storm Before the Calm di George Friedman ti invitiamo a lasciarci una Recensione qui sotto: sarà utile agli utenti che non abbiano ancora letto questo libro e che vogliano avere delle opinioni altrui. L’opinione su di un libro è molto soggettiva e per questo leggere eventuali recensioni negative non ci dovrà frenare dall’acquisto, anzi dovrà spingerci ad acquistare il libro in fretta per poter dire la nostra ed eventualmente smentire quanto commentato da altri, contribuendo ad arricchire più possibile i commenti e dare sempre più spunti di confronto al pubblico online.